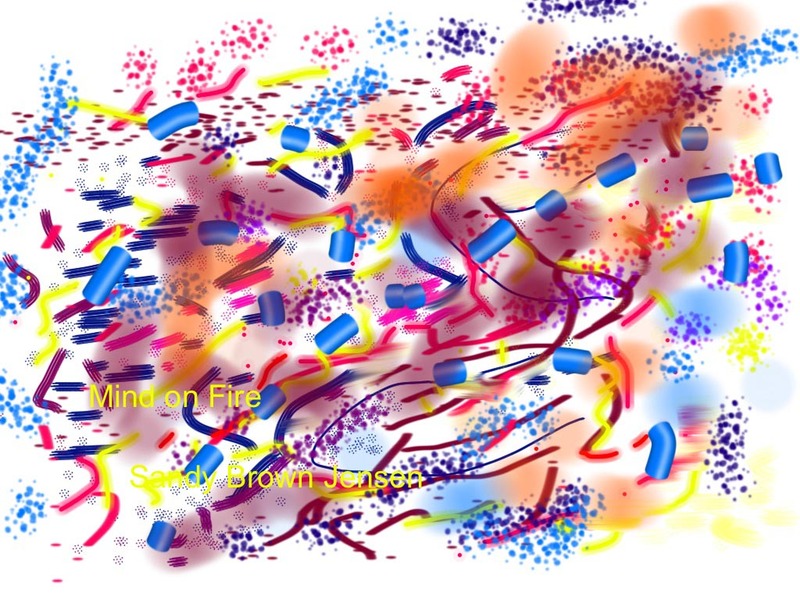 I downloaded Artist Studio onto my iPad 2 last night and started fooling around while Cheryl and I watched Season 13, Week Eight of Dancing With the Stars. This was my first sketch, all done with my fingers on the iPad2 surface. Taps change the color and pen size and other features. The experience is surprisingly satisfying. It feels very much like finger painting, and I find the result expressive of my mood, which is what I have always liked most about doing my kind of art, the people’s art, art therapy, play, expressive art. I have ordered a stylus, a kind of pen or brush sensitive to the surface of the i-Pad. I understand I can also do doodle-cartooning and screen capture a movie of the moves the hand makes in its creation. THAT could be fun!